If a temporary username/password was assigned to you, don’t hesitate to change them both! You do not need to notify us of the change. 1. Start by clicking the “My Profile” tab. 2. Click on “Modify Login”. 3. 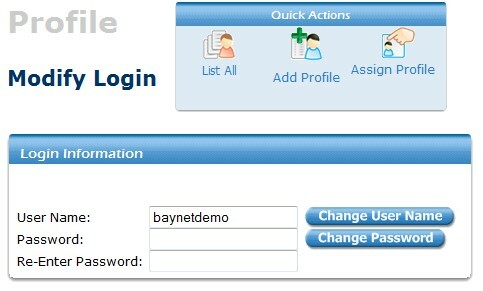 Enter your desired username and click “Change User Name”. 4. Enter your desired password and click “Change Password”.